Click the Simulate Call tab. Enter a destination number or SIP address in the Phone Number or Address field and press the return key on your physical keyboard. 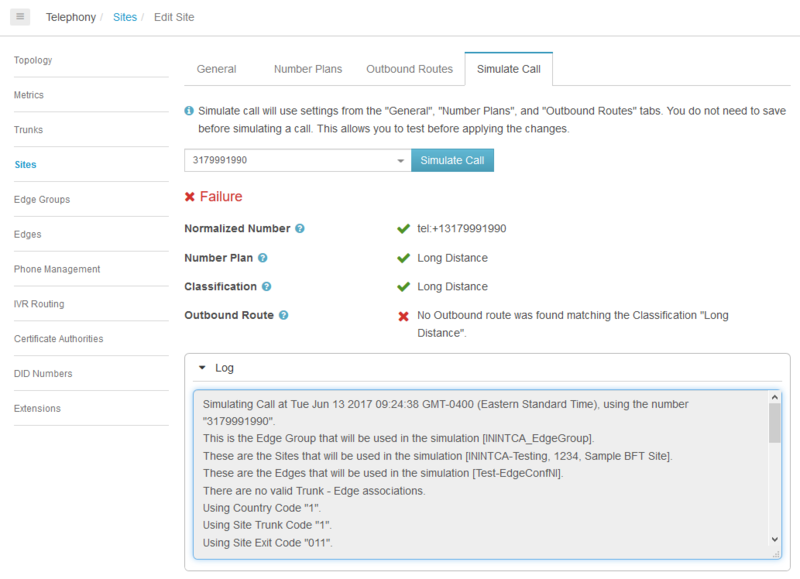 Note: If a simulated call fails, click the Log section to display information useful for troubleshooting.